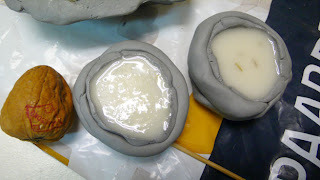 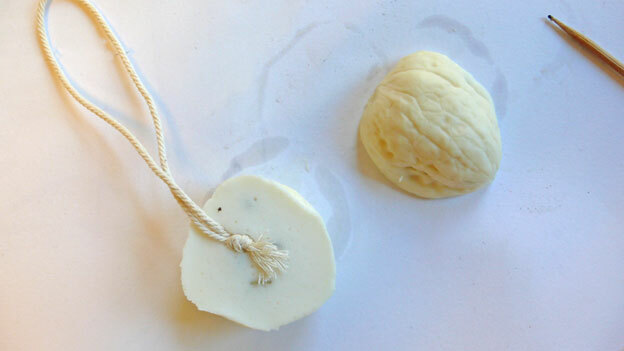 making a mold for a garlic shaped (not garlic scented, sorry) soap. 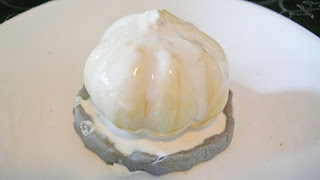 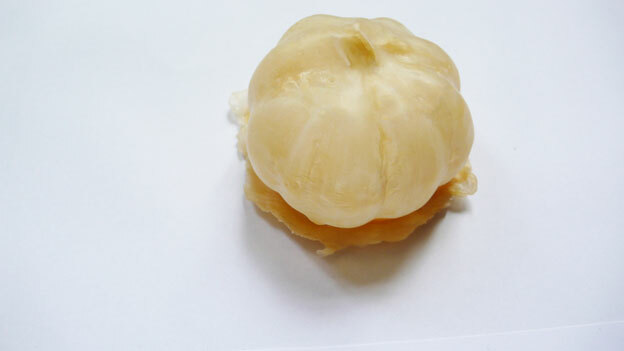 bought a big net of garlic to select the best bulb, peeled a few layers away and covered it in several layers of latex. 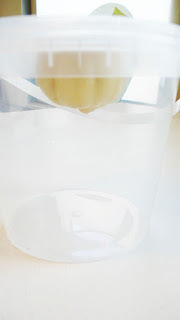 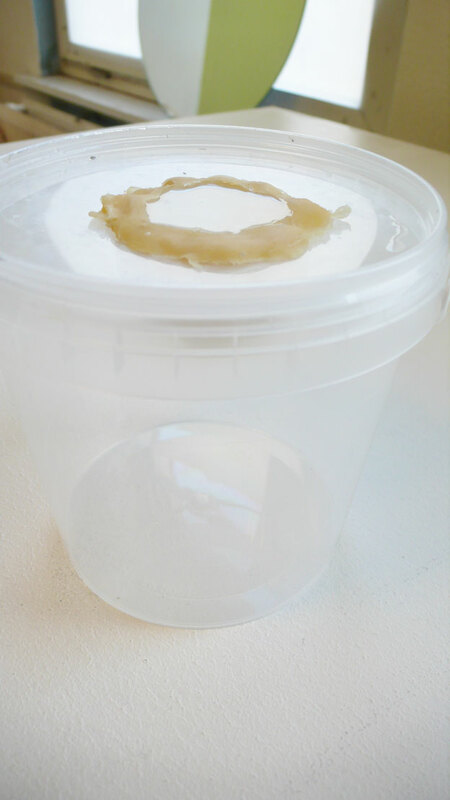 cut a hole in the lid of a small bucket the size of the rim of my latex garlic mold to support it while pouring the soap in. 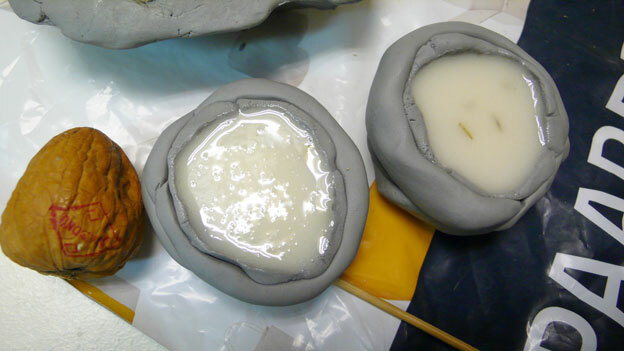 first soap is on its way now, and the second mold (to get a small production-line going) as well! 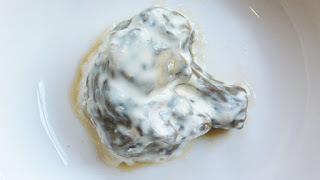 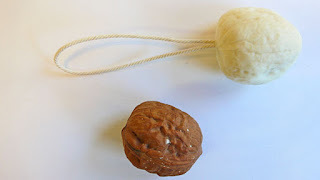 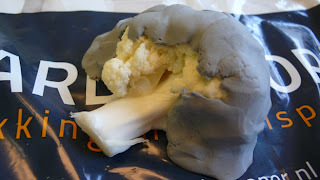 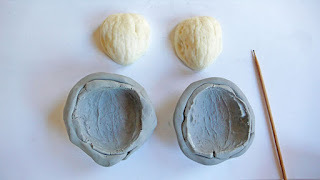 used the clay mold for a cement cauliflower casting and 2 soaps. 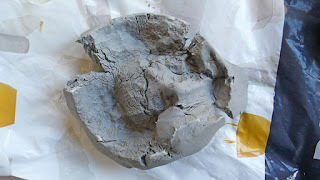 after the second soap the mold was destroyed, but I am using the cement cauliflower now to make a new rubber mold. 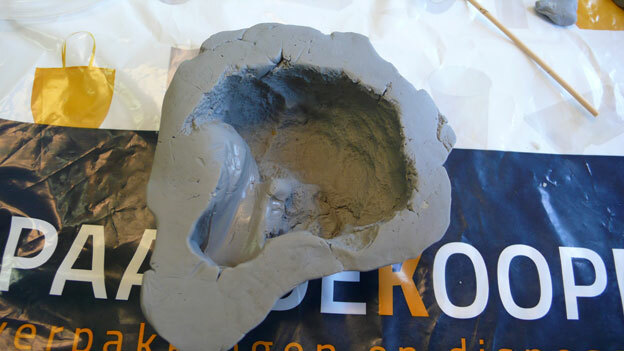 4 layers of rubber are on it now, I heated the cast a bit in the microwave to make the rubber dry faster, so i could apply 2 layers in under 15 minutes... next day (today) another two, tomorrow i will finish it. 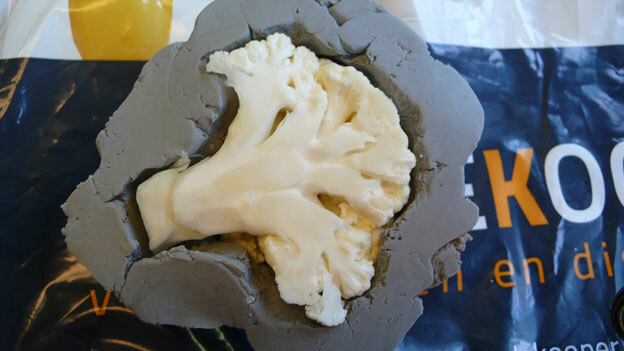 Slaughtered a cauliflower to make a mold. Of course to be used for pouring soap. 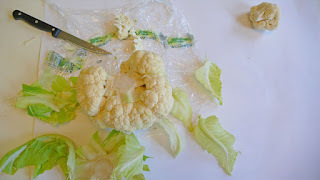 I like the idea of finding a piece of cauliflower on the sink.